One of the best actual play podcasts I've found. These guys are a lot of fun to listen to, I also listen to their Glass Cannon Podcast. I can't find anyone who does a roleplaying podcast better. The creative team behind The Glass Cannon Podcast brings you an all new weekly adventure full of laughter, tears and six adults playing make believe. Set in the distant future, five strangers find themselves caught in the middle of an interstellar mystery that threatens the very existence of the galaxy! Join us every week as characters' fates lie in the hands of dice rolls and friendships are ruined over rules arguments. As an official partner of Paizo, Inc., Androids & Aliens is an actual play podcast of the Starfinder Roleplaying Game Dead Suns Adventure Path. 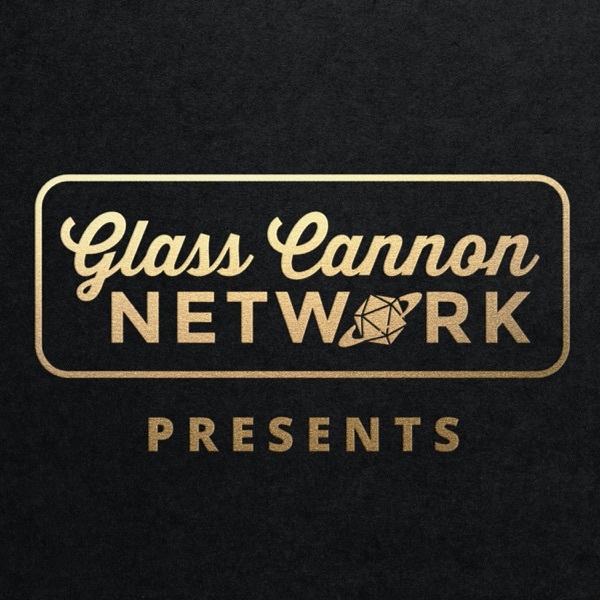 Visit us on Patreon at http://www.patreon.com/glasscannon to unlock an exclusive Patrons-only podcast along with other rewards and check out http://www.glasscannonpodcast.com to join in on all the fun happening in #GCPNation! Episode 29 - Good Morning Glipglorp! Episode 13 - Can I Take 'Em to the Bridge?